South Central Ohio gas prices fell by more than 6 cents this week to $2.164 per gallon, according to AAA East Central’s Gas Price Report. 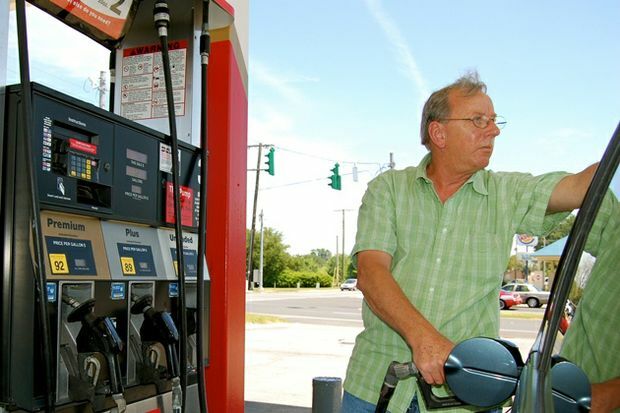 Today’s national average price at the pump is $2.29 per gallon. This is the same price as compared to one month ago, but just fractions of a penny below one week ago and 25 cents per gallon more than the same date last year. The average pump price has decreased nine of the past 10 days. Drivers in the Great Lakes and Central regions saw the largest discounts at the pump last week, with Ohio seeing some of largest weekly declines. OPIS reports that the region has been clearing its system of high-RVP gasoline in preparation for the switch to lower RVP summer blend gasoline next month. The switch will mean higher prices at the pump for drivers in both regions. On Sunday, a joint committee of ministers representing OPEC and non-OPEC countries asked the OPEC Secretariat to examine the market and consider a possible production cut extension beyond the original six- month agreement. Last year, OPEC and non-OPEC countries agreed to cut their output by 1.8 million barrels a day for six months starting in January 2017. The Secretariat is expected to provide a recommendation in April, well before the current agreement is set to expire in June. Today, the market opened posting losses as traders doubt the ability of OPEC and other major oil producers to rebalance the market. OPEC’s announcement to consider extending production cuts follows news from EIA showing a crude oil build of 5 million barrels for the week ending March 17. That increase brings U.S. inventory levels to a total of 533.1 million barrels. Additionally, Baker Hughes’ reports that the U.S. added 21 oil rigs last week, bringing the country’s total rig count to 652. The combination of OPEC efforts to rebalance the market and increased U.S. production continues to put pressure on crude oil futures, holding prices below $50 a barrel. Next month, market watchers will pay close attention to the OPEC Secretariat’s upcoming recommendations on whether to extend production cuts beyond June. At the close of Friday’s formal trading session on the NYMEX, West Texas Intermediate was up 27 cents to settle at $47.97 per barrel.